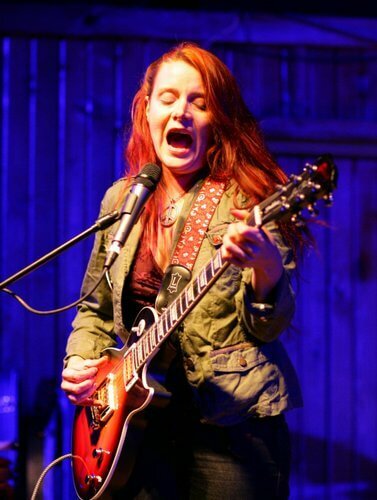 Ohio guitarist Kelley Richey is a seasoned performer who receives high marks from fans and critics for her guitar work and vocals. See kellyrichey.com. Richey plays Lincoln’s Zoo Bar Wednesday, Aug. 22, 6-9 p.m. and The 21st Saloon Thursday, Aug. 23, 5:30-8:30 p.m. Remarkable Austin vocalist, songwriter and multi-instrumentalist Carolyn Wonderland rocks an early show at The Waiting Room Tuesday, Aug. 28. Wonderland has soul, sass and power. Young Lincoln blues-rockers Cold in Hand open with a 5 p.m. set. This show is presented by the Blues Society of Omaha. See omahablues.com. Wednesday, Aug. 29, Wonderland plays Lincoln’s Zoo Bar, 6-9 p.m. Wonderland is touring in support of her latest CD Peace Meal and was featured in the June issue of Guitar Player magazine. See carolynwonderland.com. Also Tuesday, Aug. 28, at Barley Street Tavern catch Matt Cox Band, Brad Hoshaw and boog from Philadelphia. See iamboog.com. Next Thursday, Aug. 30, up-and-coming Nashville Americana artists Elizabeth Cook and Tim Carroll play The Waiting Room. Cook has had recent CDs produced by Todd Snider and Don Was. Check elizabeth-cook.com. Portland, Ore., soul-blues man Curtis Salgado returned to performing last week, after a July surgery to remove a portion of his lung that contained a suspicious tumor. Salgado received a life-saving liver transplant in Omaha in September 2006. Salgado was given a clean bill of health after the July surgery and is eagerly getting back to work, touring in support of his marvelous Alligator Records’ spring release, Soul Shot. Salgado plays Lincoln’s Zoo Bar Tuesday, Sept. 4, 6-9 p.m. He is in Omaha in two months, Friday, Oct. 12, at Slowdown for a Playing With Fire series fundraiser in a double-bill with Joe Louis Walker. See curtissalgado.com and theslowdown.com. Trampled Under Foot hits The 21st Saloon next Thursday, Aug. 30. Soulful singer-songwriter Kevin Sandbloom plays Barley Street Thursday, Aug. 23, with Citizen’s Band and is at Lincoln’s Zoo Bar Friday, Aug. 24, after 9 p.m. with Hottentot Venus Burlesque. The Willards and Des Moines’ Rumble Seat Riot are featured at Rockabilly Night at Gator O’Malley’s Sunday, Aug. 26, 7:30 p.m.
Bonnie Raitt and Mavis Staples play The Orpheum Friday, Aug. 24, see ticketomaha.com. Tijuana Gigolos celebrate Tony Meza’s birthday at Lincoln’s Zoo Bar Sunday, Aug. 26, 6-8 p.m. The Bluesmasters Concert Friday, Aug. 31, at Lincoln’s Haymarket Park stars The Allman Brothers, Mick Fleetwood, Leon Russell, Elvin Bishop, Otis Taylor and Eric Gales. See Facebook.com/TheBluesmastersConcert.